We are excited to partner with Mommy Scene to bring you this Mommy-To-Be & Me Giveaway packed with wonderful products for families. Enter to win this entire gift collection for moms and kids! Giveaway ends 2/10/17. This giveaway is coordinated by Mommy Scene, sponsored by the participating brands, and is open to US entries ages 18 and older. No purchase required to enter. One winner will be randomly chosen and contacted through e-mail, and their name displayed on the giveaway widget after the giveaway ends on February 10, 2017. Mommy Scene and participating blogs are not responsible for fulfilling brand-sponsored prizes. Prizes will be shipped directly from each brand. Have fun and good luck! A family vacation is a must have for this Momma!! I feel like every Mom needs something to look forward to and a vacation is just the fix for me. I really enjoy the whole planning process for a vacation however I don't enjoy the whole saving the money for the vacation....I learned last year that it is a much better plan to start saving for a vacation a year in advance. In order to save for your family vacation it is really important to set a "vacation budget" and try not to go over it. Also, after you set your "vacation budget" try to make a plan of how to save money each month to apply towards the vacation. I recommend trying to save at least $200-$400 per month if you can swing it. This will add up very quickly over just about 6 months. Be sure to put the money that you are saving into a special savings account so that you aren't tempted to use it for other things. Did you know the average family vacation costs $1,200 to $4,500 for a family of four. Vacation prices can really vary depending on where you're going and how you are planning to get there. Flying will cost a lot more. 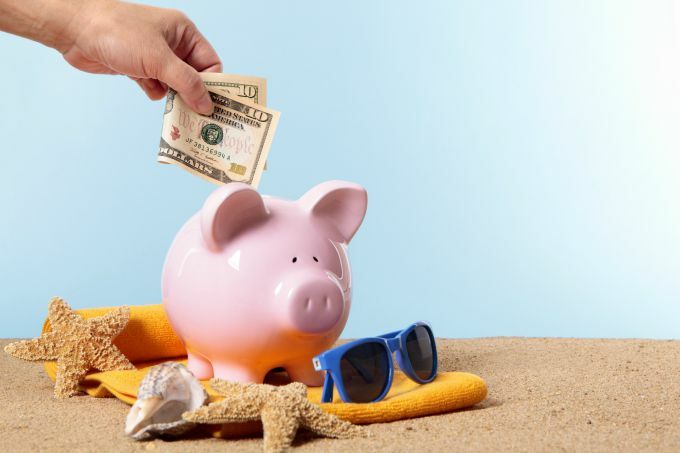 If you start saving immediately after your vacation is over for the next vacation then it will just become a monthly habit that you will learn to adjust to financially.